“The new vaudeville act at the Grand which opened yesterday is one of the best and was received with great appreciation. Also on the bill was the movie “The Knockout” with Milton Sills and other vaudeville shows including Dippy Diers and Bennett in “Inimitable rantominists” and Lew Rose & Brownie in “Gloom Destroyers”. 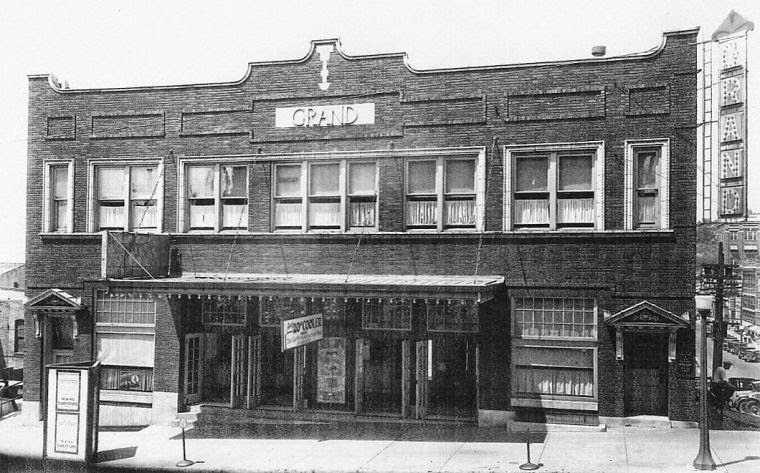 The Grand Theatre (Opera House) was built in 1920, so it was only five years old when Donna played there. The theater closed in 1977.